Every now and again a customer will contact us with an exact product in mind and we are asked to match to their imagination. The item requested needed to match the colour of the flooring in the front room with a special request to have no knots on show. 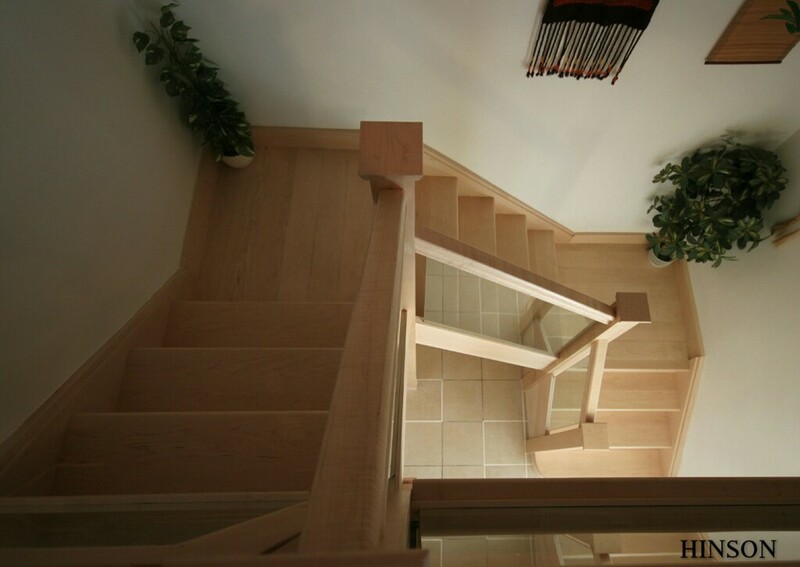 The objective was to lighten up the hallway with Maple wood and glass balustrades similar to a picture that was provided to us by the client. 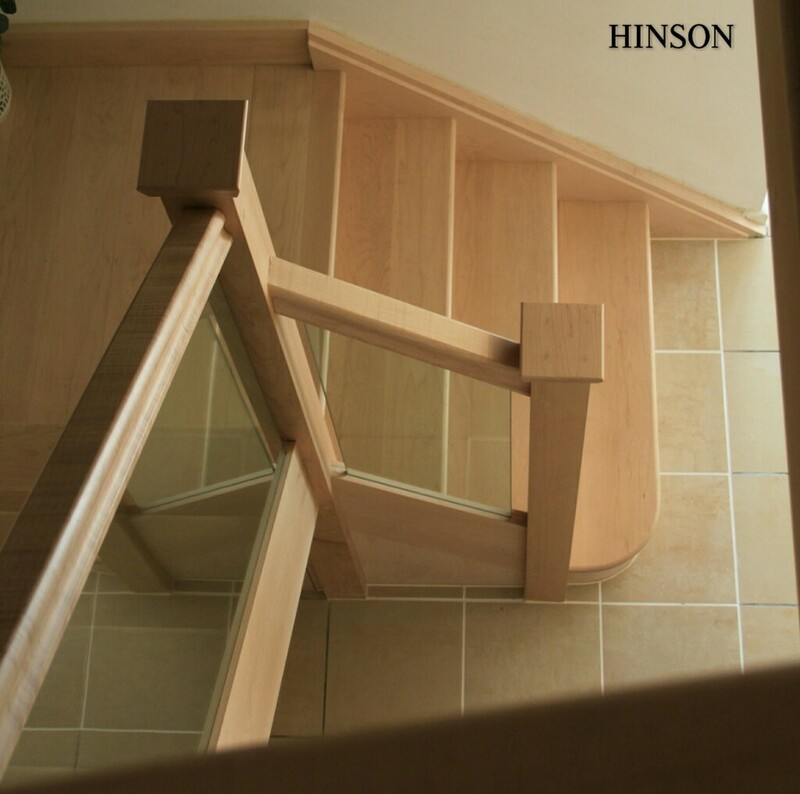 Once the stairs had been created in the workshop to specification and coated up with a non slip varnish on the treads and safely delivered to the property the transformation began. 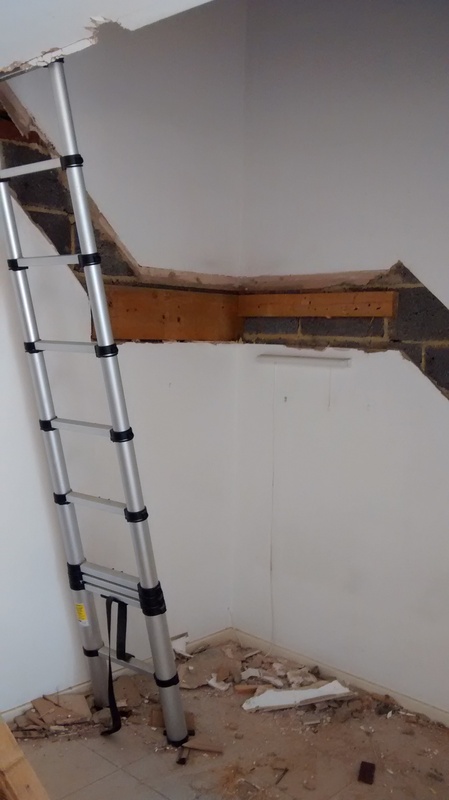 The original stairs were installed with the intention to stay put, with more than the required fixings in the landings and the strings buried with plaster we had to be very careful not to damage the walls. Once the room was clear, working from the top down the stairs started to take shape. The top post was cut around the trimmer (the 1st floor landing) the posts and handrail connected to the stairs using half inch Maple dowels this was repeated making sure it is all plumb and level, and fixed to the wall all the way down to the bottom flight with the bull-nose first tread securely connected. The new landings were now ready to be constructed and fixed to the wall to hold the maple boards. The stairs were taking shape nicely and the original idea of brightening up the hall was coming into force. The finishing touches of an under stairs cupboard and the underneath of the stairs being boarded with maple also. A 10mm toughened glass balustrade all round and a maple surround baby gate at the top brought the project to a very tidy end. Older PostRight tool for the job.